The third principle is, no instrument has been devised that can measure toxicity. Toxicity is the degree to which a compound or mixture is capable of causing damage or death. Chemical concentrations can be measured with an instrument but only living material can be used to measure toxicity. All individuals within a population of organisms do not respond to a compound at the same concentration or in the same period of time. Some individuals respond at lower concentrations while others respond at higher concentrations or not at all. The normal cumulative distribution of this response is often sigmoid in shape as depicted in Figure 5. This plot can be interpreted to indicate that a small proportion of individuals exhibit toxic effects at lower and higher concentrations with the majority of individuals responding at the middle concentrations. For this reason, single compound toxicity tests are often performed at multiple concentrations. An accepted measure of population toxicity can be calculated from these results. 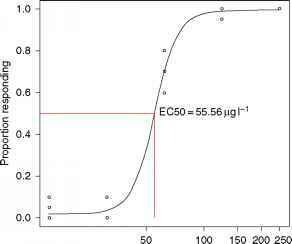 Figure 5 Dose-response frequency distribution and modeled EC50 concentration for Ceriodaphnia dubia 48 h cadmium acute toxicity assay. Acute toxicity can be defined as toxicity that comes speedily to a crisis, that is, the toxicity is manifested over a short time period. In mammalian toxicity tests, where the contaminant is administered directly to the organism, the results of acute tests are expressed as an LD50 or the lethal dose to 50% of the test population that occurred over a given period of time (the length of the test). In aquatic toxicity tests the results are expressed as an LC50 or an EC50. The LC50 is the concentration that caused 50% mortality to the test population in a given period of time. The time is generally 48 h for invertebrate test organisms and 96 h for fish. The EC50 is the concentration that effectively killed 50% of the test organisms in 48 or 96 h. The difference in the LC50 and EC50 is that organisms in the EC50 concentration might still be alive at the end ofthe exposure period but are effectively dead, that is, if transferred to noncontaminated control water the organisms would not recover. The result for an acute copper test with the cladoceran Ceriodaphnia dubia would be expressed as the 48 h LC50 or EC50. For copper and other divalent cationic metals the additional information presented would include the hardness of the water in which the test was carried out. This is important for metals because toxicity decreases as hardness increases. Hardness in natural waters is a measure of the amount of calcium and magnesium in the water expressed in terms of CaCO3. As data for copper toxicity were developed for different species, sufficient data were gathered that allowed for the development of a criterion for copper. The expression of 'safe' concentrations for acute exposures for copper and zinc presented earlier both contain allowances for changes in hardness in the water. Chronic toxicity is toxicity that develops over longer periods of time. The endpoint for chronic toxicity tests can be death but generally other endpoints such as reproductive effects (number of offspring produced or eggs laid); changes in growth rates; or changes in organism behavior or physiology are measured. 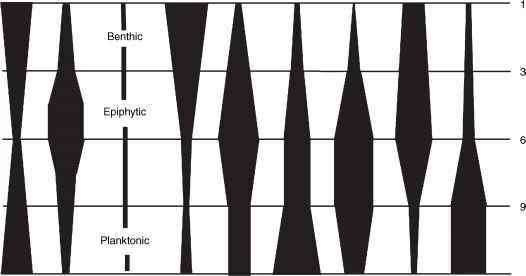 These responses can be graphically represented in a similar fashion as the acute data presented above. Results from chronic toxicity tests can also be expressed as the lowest observable effects concentration (LOEC), or the no observable effects concentration (NOEC). These are calculated statistically as the lowest concentration significantly different from the control and the highest concentration not statistically significantly different from the control group, respectively. For the majority of chemicals the concentrations causing chronic effects are less than the concentrations causing acute effects. 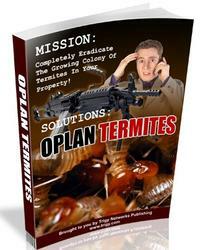 However, there are cases where too little as well as too much can cause problems for organisms. Single species chronic tests are almost always performed in a closed system under laboratory conditions with temperature and photoperiod control. The organisms are fed a consistent ration and are maintained in well-defined water. To perform a short-term chronic test with C. dubia a control group is compared with treatment groups as described above. Ten neonates are placed one each in ten beakers. Over the course of the 7 day test period (which includes three reproductive events), the number of young (neonates) produced by the individual control replicates will be similar but not exactly the same. This variability is the inherent variability for the species under these experimental conditions. The experimental beakers are held under the same conditions as the control except each set of 10 experimental beakers contains a concentration of toxicant. Figure 6 Mature parthenogenetic Ceriodaphnia dubia with developing embryos in the brood pouch. only occurs when conditions become 'unfavorable' to the females in the population and males are produced. The trigger for sexual reproduction is not fully understood but food availability is probably an important factor. When sexual reproduction occurs females produce a robust resting structure called an ephippium (Figure 7) that contains a fertilized egg that begins development when the environment the ephippium is in becomes 'favorable'. When the ephippial embryo develops, a parthenogenetic female is produced that then produces female offspring. C. dubia is a popular test organism because in the laboratory at 25 °C and the proper diet, it will develop from a less than 12-hour-old neonate to an adult and have three reproductive events in a 7 day period of time. Tests with this organism that are allowed to complete the 7 day time period are referred to as short-term chronic tests. Comparable chronic tests with the cladoceran D. magna may take as long as 21 days and some chronic fish tests may take months to complete. Acute tests with C. dubia and D. magna take 48 h while acute tests with fish take 96 h. The advantage of chronic testing with C. dubia is obvious. An assumption made when criteria/standards are developed is that ecological systems are protected when the criteria/standards are being met. This is not necessarily a realistic assumption. Almost, if not all standards for toxicants are based on single chemicals, that is, there is a standard for copper, a standard for zinc, a standard for atrazine, etc. However, this begs the question, how often is an ecological system or a component of that system exposed to a single toxicant? It is likely that this may not be a realistic assumption of exposure. Our knowledge of the effects of combined toxicants and our ability to regulate them is very limited. that the effluent is not having a toxic impact on organisms in the receiving system. If the organisms exposed to effluent dilutions that would be expected to occur in the receiving system at the critical dilution show lower survival and/or neonate production, then it is assumed that the organisms in the receiving system may also be impacted. In an example in which the organisms at the critical dilution do show a significant difference from the control organisms what do we know about the effluent? We know that the organisms at the critical dilution are performing significantly different (more death and/or fewer neonates produced) but we have no idea what is causing the difference. Without knowing what is causing the difference fixing the problem becomes very difficult. Fortunately, methods have been developed to help us figure out what chemical or chemicals are causing the toxicity. These procedures are called toxicity identification evaluations (TIEs). 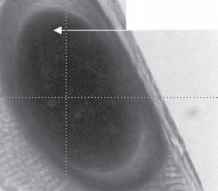 Figure 7 Ephippium produced by Ceriodaphnia dubia. The ephippium contains a resting egg. The Clean Water Act and its subsequent amendments established the National Pollutant Discharge Elimination System (NPDES) to be administered by the states under direction of the US Environmental Protection Agency to protect aquatic systems receiving discharges from municipal or industrial entities. The NPDES uses a water-quality-based rather than a chemical-specific approach for assessment of effluents. All discharges to waters of the United States are required to have a permit. These permits generally have limits on specific chemicals or parameters known to be associated with that type of industry. In addition, most dischargers must perform toxicity tests on the discharge. The principles are the same for both marine and freshwater systems but the organisms used in the tests differ. 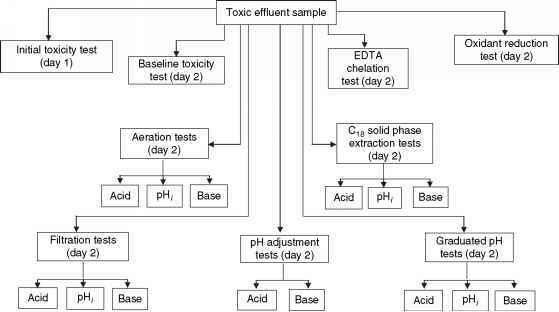 Figure 8 Diagram of the steps often used in a toxicity identification evaluation to determine the cause(s) of toxicity in effluents. temperature and pH. There is more unionized ammonia at higher pH's. After each of these procedures is performed the manipulated sample is retested to determine if it is toxic. If the toxicity is removed, then there is an indication that the chemical(s) causing toxicity belong to the class of chemicals the manipulation was designed to remove. For example, if the EDTA test removed toxicity in the sample, there is strong indication that a metal or metals were involved in the toxicity. The question then becomes which metal or metals. Unraveling which metal(s) is causing the toxicity is beyond the scope of this article but having narrowed the search for the toxic chemical(s) down to metals has eliminated many potential classes of toxicants increasing the likelihood of finding the causative toxicant. In some effluents, multiple contaminants may be causing or contributing to the toxicity. TIE methods were originally designed for use with effluents but the methodological concept has more recently been applied to porewater (water occupying the spaces between particles in sediment), ambient water (water taken directly from a lotic (flowing) or lentic (still)) system, and marine waters.